I felt like my style was way too girly to ever wear sneaker wedges until I spotted these! I feel like these perfectly combine the sneaker wedge trend with a feminine edge. It been a blast experimenting with all different ways to wear them :) Are you guys a fan of this trend? Have you jumped on the bandwagon too? omg, you look SOOOO pretty. LOVE your shoes !!!!!! xO! Omg, you are just too precious. LOVE the dress with the leopard kicks. Amazing! I could never pull these off- but you are rocking them! ADORE THIS OUTFIT! Can I please put your pics in an inspiration post? I love that it's totally Audrey/Grace Kelly but has that fantastic touch of those wedge sneakers. obsessed with this dress! sooo cute! Those are so adorable! I love the way you keep them as girly and elegant as possible! Amazing sneakers dear! I love them! And you're always awesome! Those shoes are seriously so stunning! you look gorgeous! Your sneakers, omg love them! Great pairing with the dress! Super fun kicks in the leopard print! I love your sneakers, I wish they were a little less expensive but they look fantastic on you! I cannot wait to see more outfits with these bad boys! So adorable! I love the contract of the uber-girl dress and accessories with the funkier shoes. Obsessed with those shoes ! Love them ! You've got a little breakfast at tiffany with a twist going on ! I loove these photos!!! So fun!! And those kicks are awesome! Amazing shoes and very cute dress! I don't even know you, but I know I'd love you!! These pics are awesome! You're a doll & I adore those sneakers on you. Have a great weekend!! This is beyond cute - I love, love, love your shoes - and your smile is adorable! Teehee! OMG those are the loveliest wedge sneakers I've seen Darby! Actually, I'm not so much into that trend but you wearing it in the most adorable way just changed my mind about it!!! 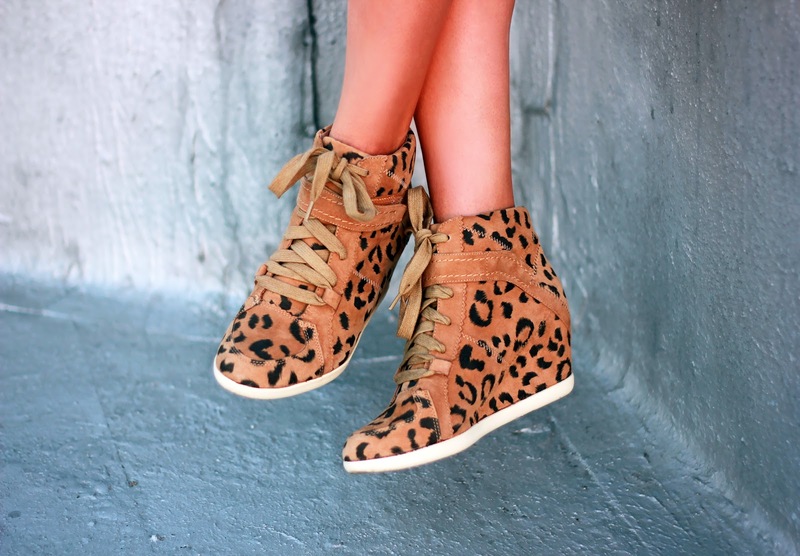 You totally made these leopard sneaker wedges work with your outfit girl:)! Love it! love the skirt and bow! Gorgeous, gorgeous, gorgeous. :D Love this combo! I wasn't really a fan of them until now! These are so cute!! Great mix with the lbd and pearls! LOVE the last photo! This is so cool! I love this new retro trend of kicks! You look amazing!!! You have mentioned following me in me back in my blog but I don't see you anymore!! are you sure you are there in my list :(I'd be glad if you followed me back? wow amazing! i think I like your shoes now! super nice outfit! love your dress and leopard sneaker wedges! I am loving the sneakers! That wedge makes you look so much taller, but you still look so comfortable. Best of both worlds! Thanks for sharing and please excuse me while I immediately got to Rebecca Taylor's website. haha lovely photos! You're very pretty! Dear, you are so stunning!! my freaking goodness! You are right - I was so not 100% on with the wedge sneaker trend, but these cuties are game changers! Love this whole look.. you styling genius! Amazing look! You look so cute! I was slowly warming up to the sneaker wedge trend, but since seeing these I'M OBSESSED. I cannot get over how fabulous they are. Love love love love those sneakers!!! And this whole outfit, so cute!! I dont think I've ever been more in love with an outfit. So cute. 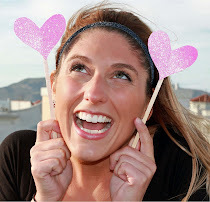 Loving you and your blog love! OMG I love your leopard print sneakers!!! You have an amazing blog, perhaps, follow eachother? Seriously love this look + your style! Ohh, I love the leopard print sneaker wedges! lately I've been so into this hidden wedge sneaker trend! Ok, so I'm officially obsessed with this outfit and your style! I just found your blog today and I'm completely in love with it. You are SO good at putting outfits together and I love all the positive energy you project in your photos. Keep up the amazing work, I'm following you through Bloglovin now! WOW!! I love this look!! So chic! !